Photography by Keith Dixon Studios. at the North American Bodypainting Championships. 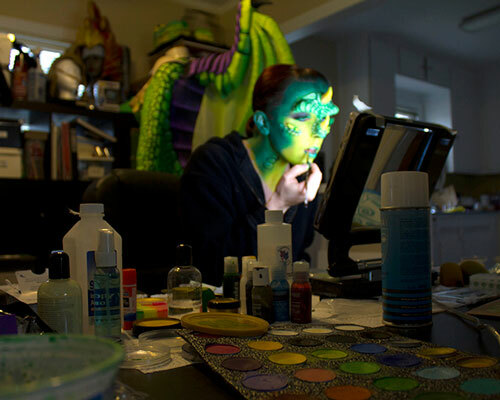 A painted bodysuit costume inspired by Ysera from World of Warcraft. A painted bodysuit costume based on the mythological phoenix. 1st Place in the Emerging Artist Category at the North American Bodypainting Championships. Live bodypainting and stage performance at the RAW Dallas artist showcase event. 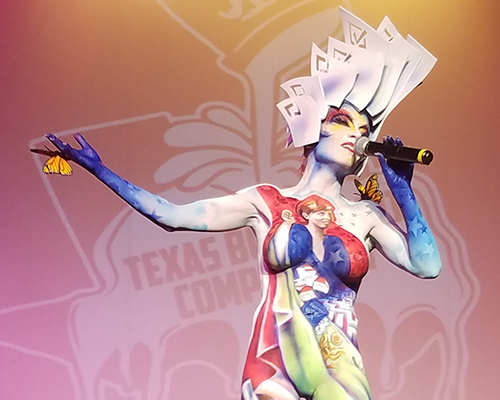 Breanna Cooke was awarded first place at the Texas Body Paint Competition in San Antonio on November 10, 2018 for her body paint piece about her journey to U.S. citizenship . These leggings are inspired by my past costumes and body painting work. Order a pair from my Redbubble shop! Breanna Cooke is an artist based in Dallas, TX, who specializes in graphic design and body painting. Send a message for body paint appointments and graphic design inquiries. 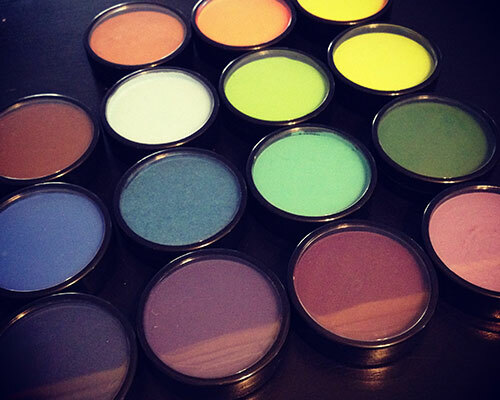 Looking for body paint or costume supplies? Visit my Resources page for product suggestions. As my first ICG-recognized event, I entered the Novice category and won! 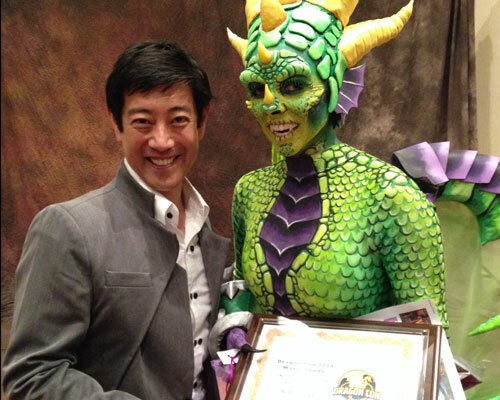 Grant Imahara, of Mythbusters fame, was the MC for the 2014 Dragon Con Masquerade Costume Contest on Sunday evening. Check out the other category winners here. 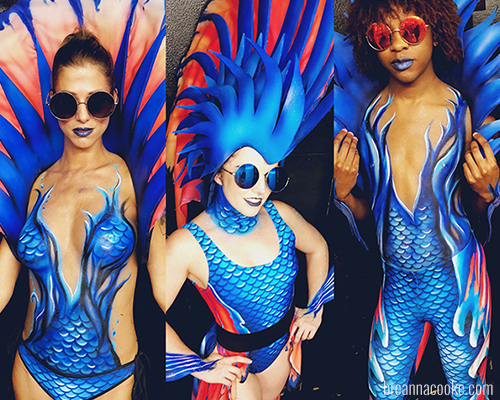 Betta fish-inspired designs for Haute Noir: A Dark Fashion Event in Dallas, TX. Shop the looks on Etsy.